I am thrilled to be able to bring you A WandafulThing 12 Days of Christmas for the 4th year in a row. I’m excited as this year the theme of all of my posts will be about thrifted, gifted (diy) and vintage items and ideas that you can give for Christmas presents. 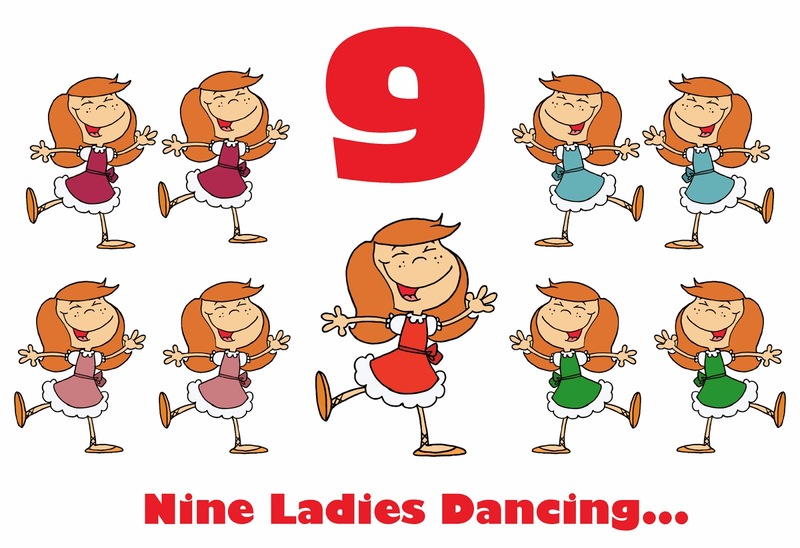 I love today’s clipart, those 9 ladies dancing made me smile. Maybe if you give someone a gift similar to today’s gift maybe they will dance around too. Today is Day 9 and this gift falls into the “thrifted” and “gifted” category. This gift is great for anybody on your list that loves to BBQ (no matter what the weather). I bought the never used/never worn apron at a thrift store and found the”new” BBQ brushes at a yard sale for $0.25 each in the summer. The tag on each brush has a recipe for homemade BBQ sauce, which I planned on making but ran out of time, so I included a bottle of our “go to” bottled BBQ sauce which is by Cattle Boyz and we use it in lots of our recipes, not just when we BBQ. 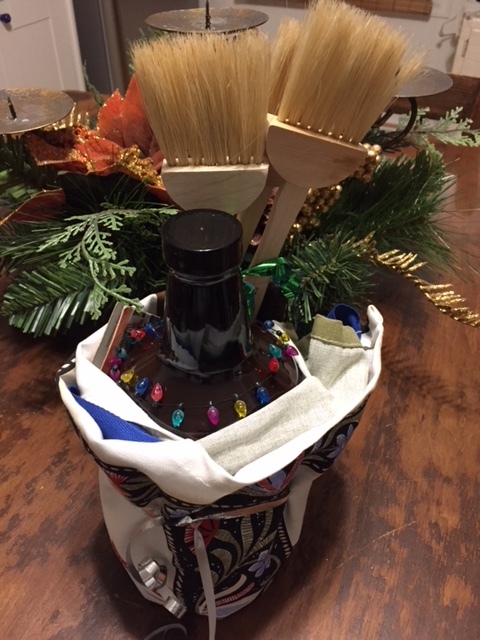 To present the gift I used the apron and wrapped it around the BBQ sauce, securing it with a ribbon, then tied a ribbon around the brushes and tucked them in behind the BBQ sauce. I just need to pop this in a gift bag and Voila another gift finished and hopefully a happy recipient. I invite you to come back and see what Day 10 brings. 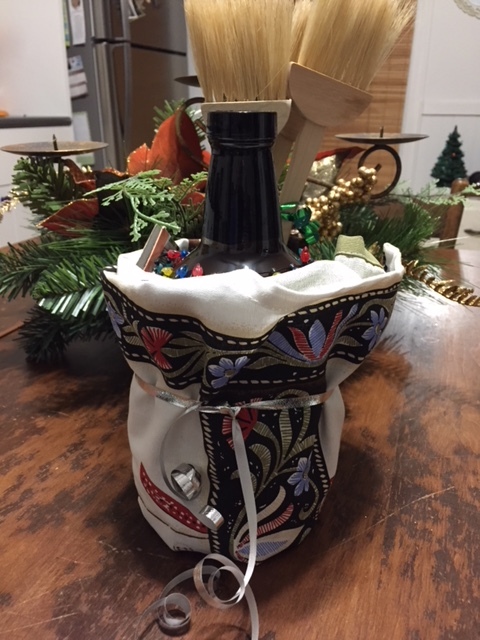 This entry was posted in Decorate, DIY, Make, vintage and tagged 12, 12 Days of Christmas, apron, bbq brush, bbq sauce, Christmas, Crafts, creativity, days, Decorate, DIY, easy, gift, gifts, ideas, inexpensive, print, recycle, repurpose, reuse, simple. Bookmark the permalink. Another unique gift. Looks great wrapping it up in the apron.